I bought my A1 in 1982, and it was a superb choice. The quality of my photos won me many a prize at our local Agricultural Show. Having my aperture and speed displayed in the viewfinder allowed me to compose without moving from the subject. Adding exchangeable lenses expanded my subject choice in natural history shots. I still use my A1, but have added a Rebel and a D60 (with Image Stabilizer on my bigger lenses) for added performance. Hello. I still own the A1 Black from new, I refused to get rid of it even though the Digital age took over, like many, I purchased a digital camera (pocket edition) but over the years have found the downloading, sorting, filing, printing, etc a time consuming chore. The Digital is ok for immediate action when required for eg accident, proof of this or that, but I have gone back to Film, and have just purchased a Minolta Dynax 5 because of its excellent reviews. But the Canon A1 Black is a stunning and beautifully built Camera that still commands respect. Glad you still kept yours. Kind regards. Melvyn. This canon a1 camera is over 20 years old ! I believe that it was the first truly automatic camera on the market. I, just last week, traded a framed, matted print from my gallery for an A-1. I made the trade because I wanted something of quality which would take multiple exposures. 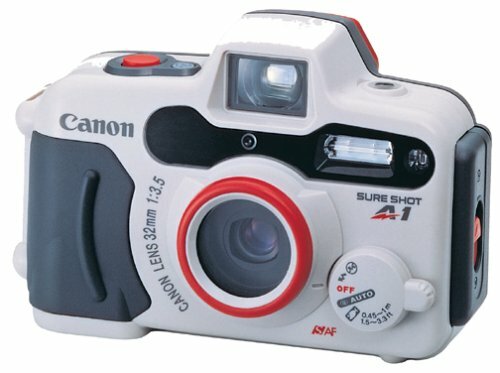 I have used Canon in the past, so assumed it would be a rugged, reliable camera. I'm not very disappointed. The lens is stuck, so I can't get it off. I realise how much the A1 Was Limited in features handling and quality. This was a ground breaker in its day, sort of like the first EOS Rebel DSLR which broke the mold for entry DSLRs, the A-1 broke the mold for entry SLRs by introducing an affordable auto exposure. I personally feel this is much more of a camera then the modern DSLR equivalent (say 450D) which are plastic replicas. The A-1 evokes the days of the newspaper photographer. I find this a very special stuff for me. Now I work with my eos 30d and 5D... but usually I pick up my old A1 with some black and white film and just enjoy it, I love it. Digital ones are awesome but A1 35 mm film camera has something very special, maybe romantic, and different. Anyway it works great. No problem after 25 years of use. This is actually one of my favourite 35mm cameras because it allows many of the virtues of today's electronic cameras in a circa 1978 more well constructed body. The exposure is extremely accurate for most shooting situations and the ability to use a standard screw in shutter release is welcome. I Have recently bought the Canon A1 off ebay and in my opinon the best slr around, and I frequently use it in program mode, great results! Fantastic camera! Easy to use! I found this review not helpful because...the general comments segment does not address anything pertaining specifically to this camera. It's a commentary on certain people, not on any camera. Pointless. <br/>I couldn't believe that my Nikon D50 didn't have full Apature and Shutter Priority like my old A1. <br/>I'm looking forward to using it more for slides in the next few months. 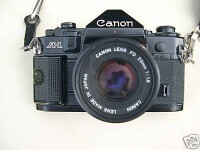 The Canon A1 was my first 35mm SLR, I had the AE-1 Program which meant all I had to do was focus and shoot. The camera was amazing, I wish now I had kept it. The controls were really easy to use and the pictures were the clearest sharpest images I've ever seen. The control wheel on the top of the camera allowed selection of Full Program, Aperture Priority, Shutter Priority Or Full Manual. Praktica L - LT - LTL - MTL etc.